It sounds like an idea everyone can get behind: National Prescription Take Back Day. The event was Oct. 22 this year, and while it’s too early to gauge its results, the total number of pills collected from last year is impressive. With the aggressive backing of the U.S. Drug Enforcement Administration, Americans dropped off 447 tons of unnecessary or expired prescription drugs at thousands of pharmacies and police stations across the country during the 2015 Take-Back Day. Their laudable goal: getting dangerous medications out of homes to reduce the chance of accidental poisonings or abuse by family members. But there’s a little-known problem with Take Back Days, and also with another common way of getting rid of unused pills: flushing them down the toilet, as the Food and Drug Administration recommends. It turns out that neither disposal technique is good for the environment, according to researchers. A better approach, suggests one study, would simply be to throw those pills in the trash, instead of flushing them down the toilet or driving them to a pharmacy or police station on Take Back Day. The 2012 study, conducted at the University of Michigan, measured the environmental impact of each approach and concluded that benefits of Take Back Days may not exceed their financial and environmental costs. The researchers estimated that if we got rid of Take Back Days and just asked consumers to throw away their unused pills, there would be an 88 percent decrease in unwanted pills and other medications. The record would be slightly better under the hypothetical circumstances that if half of all American households participated, there would be a 93 percent decrease in unwanted drugs. Despite these numbers, Take Back initiatives began to get drugs from the public and into the hands of law enforcement. But that extra five percent of additional removed drugs comes at a high cost: a tripling of greenhouse gas emissions (because of the need to drive to police stations and pharmacies) plus the additional cost of the Take Back programs themselves. Take Back Day costs an estimated $2 billion per year. The cost results in large part due to staffing fees and materials. Flushing unwanted pills down the toilet is a problem for a different reason. Eighty percent of U.S. streams have traces of human medicines that are disposed of by flushing. Sewage systems cannot take the medicines out of the water once it is released into lakes, seas or rivers. Medicine has been found in drinking water as well. 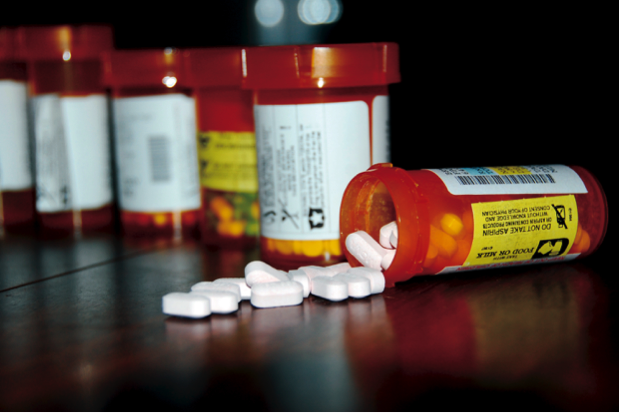 The U.S. Environmental Protection Agency and the Drug Enforcement Administration responded by recommending that consumers continue to participate in the Take Back Days, follow the FDA guidelines for flushing pills and use the trash disposal when take backs are not available. The EPA and DEA’s statement argues that domestic trash disposal for drugs could be harmful for children and trash collectors, who might encounter sharp objects. So far, the Drug Enforcement Administration has given no sign of backing down from its aggressive support of Take Back Day. An initiative of the Obama Administration, the Take Back program began six years ago and has since resulted in the collection of 3,200 tons of unwanted drugs. What everyone agrees on is that those unused drugs need to be removed safely. In 2013, there were 249 million prescriptions written for opioid medications alone —enough for every American adult to have their own bottle. A staggering 25 percent of those opioid-prescribed patients are battling addiction. Over the last 20 years, prescription-related overdose deaths in the U.S. have more than tripled to 16,651. Using a trash can is a method getting rid of unneeded pills more frequently and quickly than simply relying on occasional Take Back Days. So one way or another, be sure to get rid of those unused prescription drugs. And the trash can might be the best way of all. When taking any drugs it is important to seek the help of health expert first. If we just heard or saw something about their health benefits, still it is important to be aware by asking guidance from the health expert. Thank you for sharing. I hope everyone will be aware.